These Fruity Pebbles Popsicles are made with Greek Yogurt and packed with brightly colored crunchy cereal for the perfect summertime treat. You know the awesome thing about popsicles? You’re always in the mood for them. Well, I am anyway. No matter how I’m feeling, a popsicle sounds like it would at least be good. I have not had any appetite today all day. Which is about the weirdest thing in the world for me. Generally, if I don’t eat every 2-3 hours, my stomach gets all grumbly and I feel like I might pass out. I’m seriously like a baby who needs non-stop small meals throughout the day. But today? I barely ate a thing, didn’t feel hungry, and couldn’t think of a thing that sounded appetizing. Have I mentioned that is not like me at all? I even went out to dinner for Chels’s birthday and felt meh about everything. I got soup and a salad and didn’t eat much. I think my friends were kind of shocked, as, let’s be honest, I can usually eat a house. But when I got home tonight? A popsicle sounded SO good. Luckily I had these Fruity Pebbles Popsicles in the freezer. Because I had bought a box of Fruity Pebbles for those delightful doughnuts I made and then was stuck with half a box and nothing to do. And we all know if I ate a sugary bowl of Fruity Pebbles for breakfast, my stomach would be grumbling about 10 minutes later. But they’re so pretty and I didn’t want to waste them, so I decided they’d look fun against some nice white Greek yogurt. Though these are made with a seriously sugary cereal, I’m claiming them to be quite healthy. Because they’re Greek yogurt popsicles made with 0% Greek yogurt and a splash of 1% milk. You’re loading up on protein, calcium, and a little sugary goodness for good measure. Nobody can argue with that one. And if you have kids? 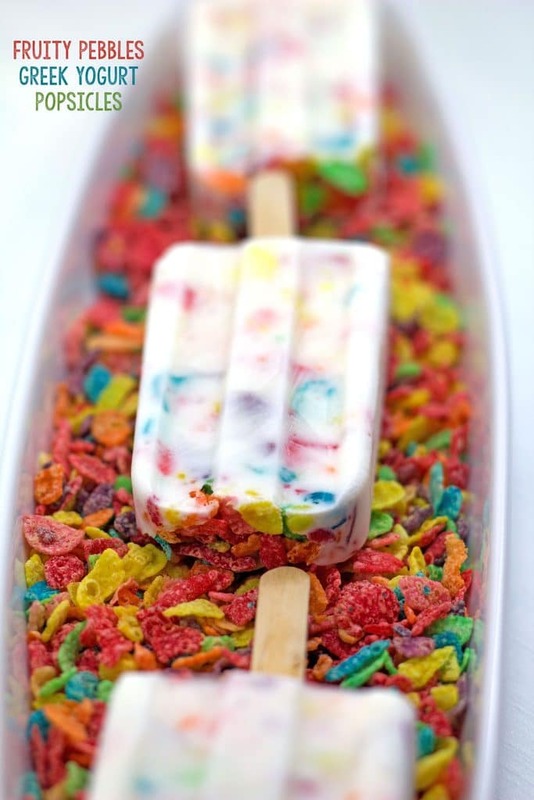 They might love you a little bit extra on a day you give them a popsicle with Fruity Pebbles involved. Little will they know how much nutrition they’re actually getting. Muhahaha! 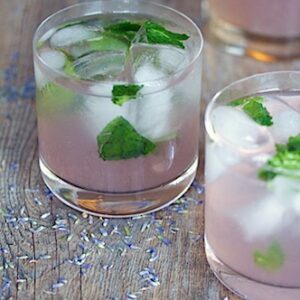 This recipe has 3 ingredients, so they couldn’t be easier! The popsicles take about 7 minutes to make. The only annoying part is waiting for them to freeze. Which, by the way, if I had known the Zoku Quick Pop Maker freezes popsicles in 7 minutes ON YOUR COUNTER, I probably would have gone with that one. I do love me some instant gratification. But patience is a virtue and any time I make a frozen treat, I practice it. So, all you need to do is blend the yogurt and milk in a blender and then combine 3/4 cup Fruity Pebbles. 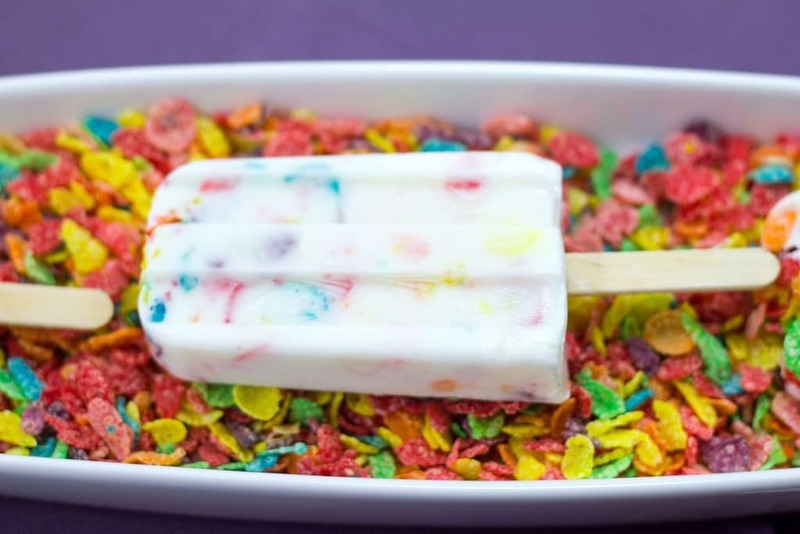 Add remaining 1/4 cup Fruity Pebbles to the bottoms of your popsicles molds and then fill them up with the Greek yogurt mixture. Fit with popsicle sticks for easy eating. And then wait while those Greek yogurt popsicles freeze. YAWN. This is the worst part because they should really stay in the freezer for about 6 hours. But then it’s finally time for a fun little summertime treat. That’s likely also perfectly enjoyable in the winter. I’m a year-round popsicle eater. And am generally colder in the summer anyway because the AC always freezes me half to death. 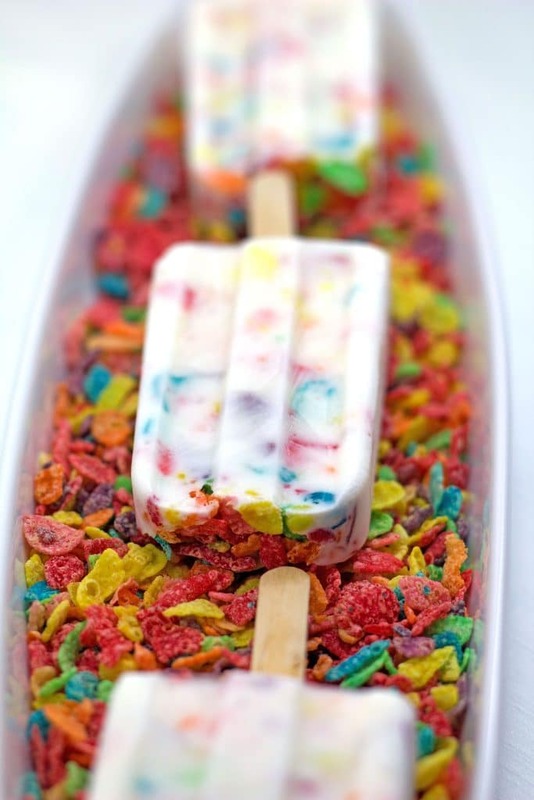 I absolutely loved the yogurt-taste of these Fruity Pebbles Popsicles. I was a bit worried they’d be too icy with the milk and yogurt, but they ended up being quite creamy. Of course, they could have used a tad more sugar, but I also kind of liked the subtle sweetness of the Fruity Pebbles. Don’t be alarmed; I did not eat the entire bed of Fruity Pebbles these were resting on. Though I was tempted… Very, very tempted. The bottom line is, these Fruity Pebbles popsicles satisfied a craving without really going overboard. Sure, I could have just topped my Greek yogurt with some Fruity Pebbles, but when , when it’s hot outside, sometimes you need dessert in frozen form. And eating yogurt doesn’t sound nearly as fun as eating a popsicle. Am I right? Especially when nothing else really sounds appetizing. Popsicles to the rescue! Hopefully my appetite is back in full force tomorrow. Though I must admit, it was kind of nice not having to feed myself every couple hours. There’s something really obnoxious about a loudly grumbling stomach when you’re sitting in quiet office or in a meeting. But still, I love my food and I’d like to enjoy it again, thankyouverymuch. Is there any type of food that always sounds appetizing to you? Put yogurt and milk in a blender and blend until combined. Stir 3/4 cup Fruity Pebbles into the yogurt mixture. 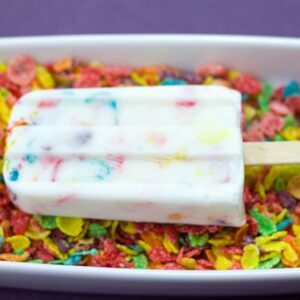 Sprinkle remaining 1/4 cup Fruity Pebbles into the bottoms of popsicle molds. Pour or spoon the yogurt/milk mixture into the molds. Hit molds on the counter a few times to push the yogurt mixture into the mold and remove air bubbles. Freeze popsicles for at least 6 hours or overnight. 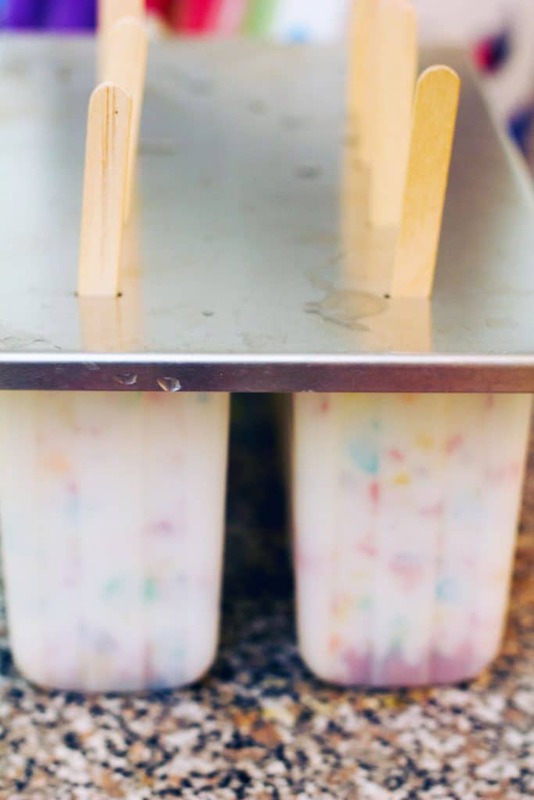 To remove popsicles from molds, run molds under warm water for about 15 seconds and gently jiggle popsicles from molds. Please note that recipe prep time does not include 6 hours popsicles require for freezing. 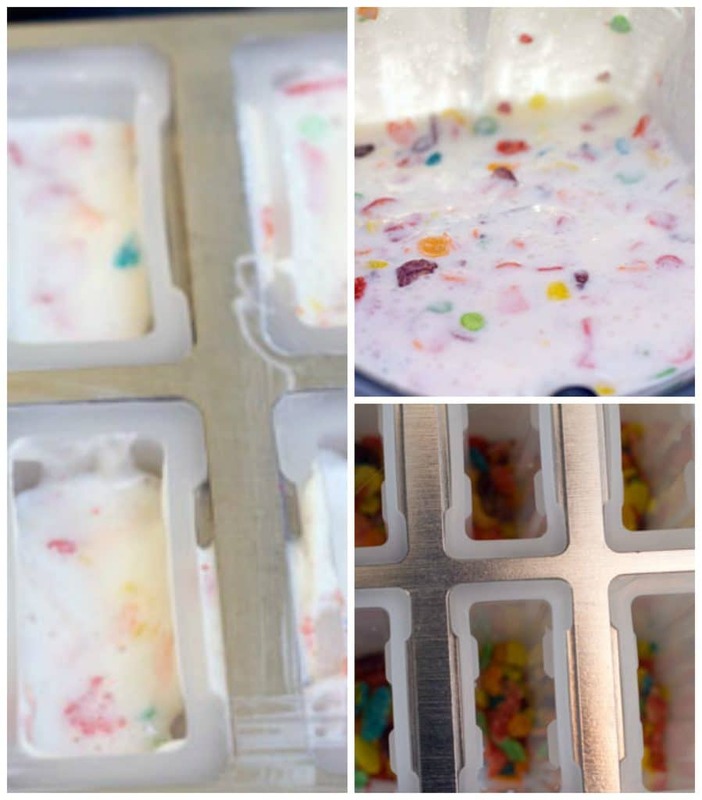 30 Responses to "Fruity Pebbles Greek Yogurt Popsicles"
what a fun popsicle to have! this is so creative! These are so simple but at the same time do creative. And pretty-looking! Oh, my! What a fantastic idea. These popsicles look so colourful. I’m going to have to give them a try! I absolutely love this idea! I think I’d try it with Cap’n Crunch though, I can never have enough Cap’n Crunch. Sometimes your body just wants what it wants and nothing else will do! I can definitely see why it wanted these popsicles. So fun!! these are so pretty and creative!! I need to get Popsicle molds! Oh man these look awesome! I just ran out on my lunch break and got everything to make these tonight. I also picked up some Fruit Loops to try those in them too. Thanks for the post! These are awesome – they’re like a childhood + adulthood breakfast in one! These are so fun! I love Greek yogurt but have never frozen it. Yum. I looooove Popsicles. When I was pregnant with either of my daughters I was seriously obsessed with them. Li Christmas liste, at least 2 popsicles a day obsessed. One of those countertop popsicle makers is definitely on my christmas list. 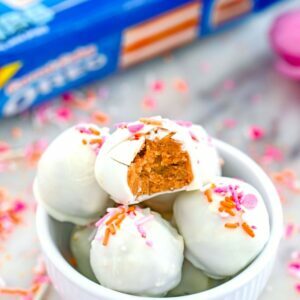 Not having your appetite is the worst – childhood comfort foods to the rescue! I need to get one of these popsicle contraptions. These are ridiculous! In a very good way. So much fun! My kids would LOVE these tasty treats. This idea blows my mind. So simple, yet sweet AND clever. Great photos of the popsicles on the fruity pebbles too. 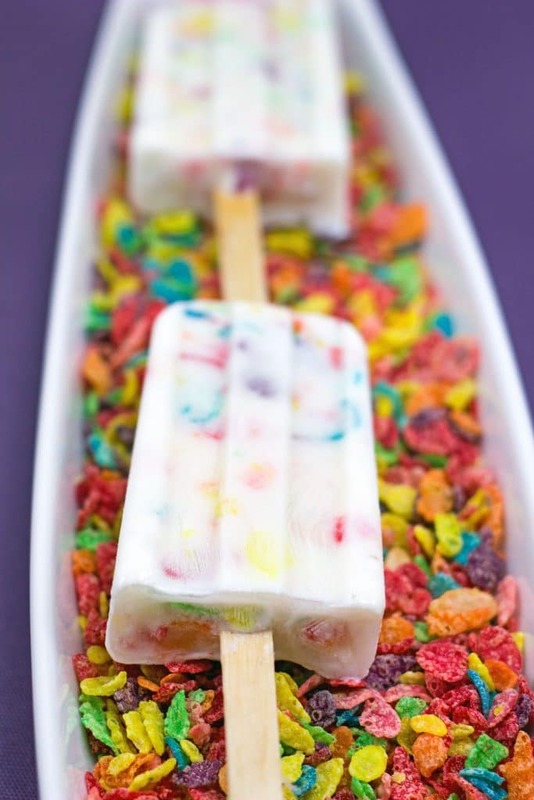 I love this idea of Fruity Pebbles in a Popsicle. I ate that cereal so much as a kid. One food I’m always in the mood for is cheese. I can put a serious hurt on a block of good cheese…oh, and chocolate! Yes, I can’t resist popsicles too and yours are so pretty and quite healthy too! You are a genius!! LOVE this idea! 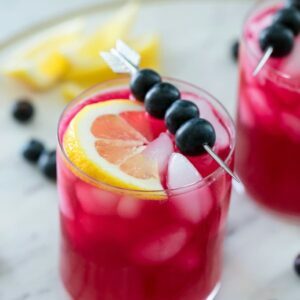 I love this greek recipe. Thanks you so much for sharing! I tried this tonight with a vanana (banana and vanilla, obviously) Greek yogurt! Can’t wait until they’re ready! I love the color splash. The perfect use for your leftover fruity pebbles!! What a great way to add a healthy twist to a sugary cereal! 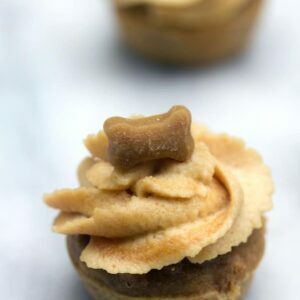 My kids are going to FLIP when I make these! They look amazing! Hi! I’m not sure what you mean by coconut cream? This recipe has 3 ingredients- Greek yogurt, 1% milk, and Fruity Pebbles… It should have no problem freezing!